Partial Parallels: Chrome Refractors, Gold Chrome Refractors. Additional information given below Primary checklist. 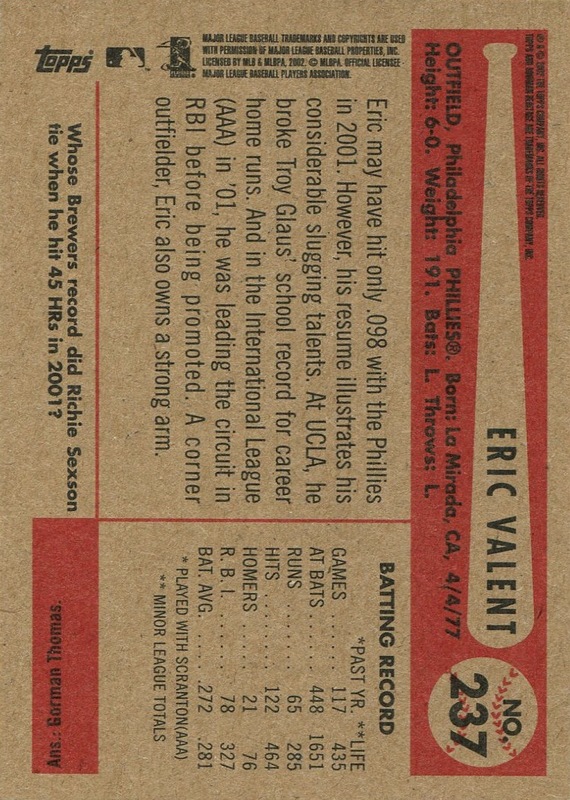 Additional Information/14,000 Phillies Commentary: Cards recycle the design of the 1954 Bowman set, and Topps actually did a decent job of replicating the photo style employed by Bowman in the original set. Interestingly, the Phillies team set in the Heritage offering is actually larger than the Phillies team set in the original. The black box variations are nothing more than than the swapping of the colors of the facsimile signature and background box on the bottom front of the card. 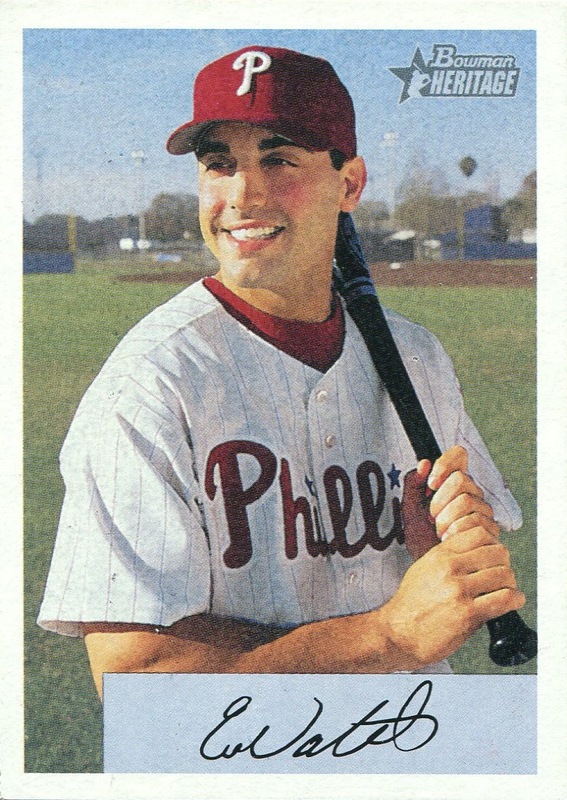 Topps selected 110 cards from the Heritage set for inclusion as partial parallels. All Chrome cards bear a serial number on the back, with regular Chrome Refractor parallels numbered to 350 and Gold Chrome Refractors to 174. The checklist for both partial parallel sets is identical.